A car can always remain in its elegant look and condition, if the tips and techniques for maintenance are correctly followed. For this, you have to focus on polishing and buffing the vehicle, an ideal process to retain its paint and finish and to protect it from the wear and tear of time and the weather. The step to step methods of polishing a vehicle, with the correct set of tools are outlined below, for easy reference. Keep ready a soft woolen wash glove. Wool wash mitt is an ideal cleaning tool as it absorbs enough shampoo and water and leaves no scratch or abrasion on the body of the vehicle by its application. Before starting your vehicle polishing process, keep ready two buckets of water, one for mixing the shampoo and the other for final rinsing. The first bucket has to be fitted with a plastic grate as a bucket guard that would not let the dirt sediments back to the cleaning surface, as the cleaning progresses. Always use a high quality shampoo to obtain best results. Avoid direct sunlight while washing and drying. Proceed with rinsing the car once, so as to let out the dirt easily. The cleaning has to be attempted from top to the bottom by applying wash mitt repeatedly on each portion, in order to rub out as much dirt as possible. After you start finishing each portion like this, go for the next step of rinsing, with an open flow of water that is not to be a jet. The next step begins with drying the vehicle in a methodical manner, using two towels. Either PVA or microfiber towels are to be used for the purpose. Rub lightly on the surface of the car with the first towel and squeeze it frequently to remove the absorbed surplus water. Use the second towel for drying up the remaining droplets s of water from the body of the vehicle. Once dry up is complete, the next step begins with polishing and waxing of the vehicle. A nonabrasive polish has to be used for the purpose, preferably two different varieties to ensure a best finish. Polishing would normally help cover up the fading of the paint and give the vehicle a shining look. Electrical polishers are ideal for car polishing, as it ensures uniform application on all parts, unlike the manual attempt. The polishing work has to start steadily on work zones of 2 x 2 foot, with slow and gradual movements from side to side, to effectively cover up the entire area. Extreme care has to be taken not to apply uneven pressure on the side of the electric polisher pad that would otherwise harm the surface. Hence the work has to be finished by a side-to-side movement. 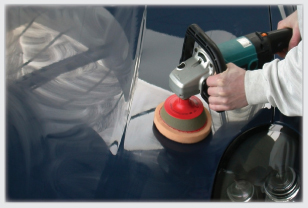 Waxing is the final phase that has to be done with meticulous care in a similar manner, as with the electric polisher. Bring into use a carnauba wax or a good synthetic for this purpose and perform the waxing yourself to attain a better result. A vehicle can always be maintained with its elegant look and form, by a regular follow up of valeting in this manner.